Podcasts for Advertising | Becoming The Rage for Companies? Podcasts—Why are They Becoming the Rage for Companies Large and Small? Among the many times we stroll down a street, ride a bus, or hang in coffee shops, we see people with headphones or earphones. However, they may not just be listening to music. They could very well be listening to a podcast. That’s why podcasts for advertising is becoming the new rage for companies. A podcast is a digital audio (or also sometimes, a video) recording that is usually part of a complete series which can be downloaded or listened to online. Podcasts are aired regularly, much like a radio talk show or TV show. Nowadays, podcasts are a popular medium. A lot of celebrities and influencers have regular podcasts, and there are droves of people supporting them. Podcasts are usually focused on a specific topic or revolve around a personality. It is casual, sometimes unscripted, and is generally recorded in a home office, a studio, or even on the go. Since it is streamed online, there’s also an opportunity for listeners to send in questions or leave comments—adding spice to the podcast. The most popular venue to listen to podcasts is at home. Others listen to podcasts in the car, while walking, or at the office. According to Apple, there were only 250,000 podcasts on iTunes in 2013. In 2018, this number grew to 500,000 active podcasts. In fact, the number of podcast listeners fueled this growth. Latest figures show that there are more than 112 million people who have listened to podcasts in the United States. Notably, there was also an 11 percent growth on the number of podcast listeners from 2017 to 2018. Pointedly, in 2017, about 69 percent of podcast listeners used a smartphone, tablet, or another mobile device. Only 31 percent listened on computers. In contrast, in 2013, 58 percent of podcast consumers listened on their computers, while 42 percent listened on mobile devices. Podcasts already existed even before 2005. However, its popularity waned a bit before gaining momentum again during the last five years. This time, advertisers who have been spending on online ads are tapping into the potential of podcasts. Companies large and small are latching on to its popularity. They are now even producing their own podcasts or spending good money to sponsor one. The Daily,” a podcast from The New York Times, has been airing for less than two years with an audience of 5 million listeners per month. Reports say that “The Daily” has over $290,000 a month in sponsorship. 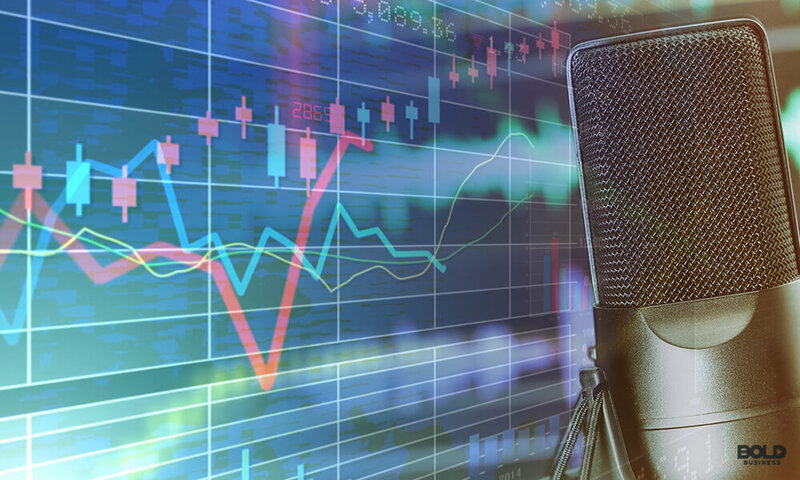 According to the Interactive Advertising Bureau (IAB), the amount of money spent on podcasts will reach $659 million by 2020—more than double the $314 recorded in 2017. The so-called “baked-in” ads—spiels or mentions from the presenter or host—are still the most preferred format. Remarkably, some gifted podcasters can weave in brand mentions like it’s the most natural thing in the world. This is what advertisers are after. Podcasts are becoming all the rage, becoming a popular digital medium. But what makes this digital medium so popular? Listening is refreshing. The popularity of graphs and video has resulted in an explosion of video content. Additionally, social media can be tiring with a scrolling newsfeed. With podcasts, listeners can wear their earphones or headsets and let the audio play while they do other activities. The talking voice is also more engaging—with nuances in the voice quality, silences, and pauses providing emphasis in the delivery. Cost of Production. In producing a podcast, one only needs a good quality microphone and audio editing software. Successful podcasts have a cost per thousand impressions—abbreviated as CPM (cost per mille— “mille” is Latin for thousand)—of between $20 and $45. In comparison, a web ad’s CPM ranges from $1 to $20 while TV’s CPM ranges from $5 to $20. This fact shows a relatively high return on investment. Mobility. Majority of internet users nowadays use a mobile device, allowing listeners to download and listen to podcasts wherever they are. Listeners can choose to listen right after they download an episode, or to save the podcast and listen to it at a more convenient time. A lot of people listen to podcasts on the commute or while in the gym. Connected Cars. With the rise of connected cars, it is now possible to stream audio while driving. Commuters benefit from this technology, and it has contributed to the increasing growth of podcasts. 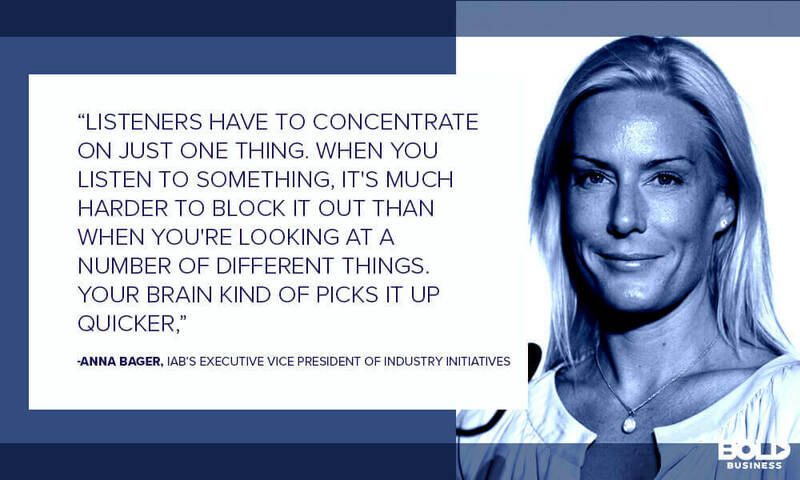 Anna Bager, the IAB’s Executive Vice President of Industry Initiatives explained that advertisers love podcasters because they can capture their audience’s attention and keep them engaged. Early influencers have shown that podcasts can be viable as a broadcasting venue and as a platform for monetization. Podcasts make it easier for advertisers to reach different demographics. The younger generation can listen to ads without switching off the podcast or skipping through the commercial. Interestingly, 56 percent of podcast listeners are men, and 44 percent are women. Podcast listeners between the ages of 18-34 most likely listen monthly. Those who listen at least once a month subscribe to an average of 6 podcasts. They also constitute 44 percent of all listeners, with those aged 35-54 comprising 33 percent. 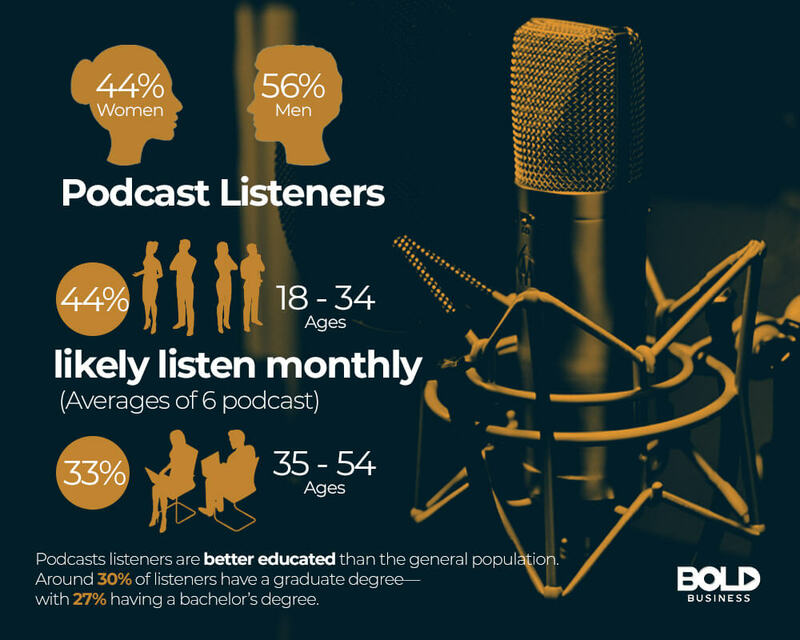 Podcasts listeners are better educated than the general population. Around 30 percent of listeners have a graduate degree—with 27 percent having a bachelor’s degree. Podcasts are taking marketing and advertising to a new digital level. It has created new opportunities for various companies and brands to make their presence known to a broader audience. Podcasts also show how discerning audiences have become on the kind of content they want to read, listen to, or watch. At a time when audience attention is supposedly short, here’s a medium that keeps them engaged and entertained for a more extended period. Only time can tell how far this love for podcasts would go—from this generation to the next. How are Companies Leveraging the Internet to Market Their Business!